Ustad Ghulam Ali Pakistani Ghazals Singer. He was born on 04 December 1940. He is considered to be one of the best Ghazal Singer. His style and variations in singing Ghazals has been noted as unique, as he blends Hindustani Classical Music with Ghazals, unlike any other Pakistani Ghazals in Urdu artist. Ghulam Ali started singing for Radio Pakistan, Lahore in 1960 and he also compose Bhajans and Ghazals and sometimes include a scientific mixture of Ragas. He is great Singer of Pakistan, he created great name in Pakistan Music. 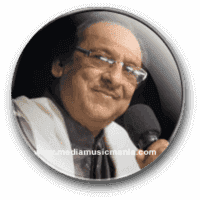 Ustad Ghulam Ali is very popular in Pakistan, India, Nepal, Bangladesh, as well as among South Asian diaspora in the USA, the UK and the Middle Eastern countries. Ghulam Ali has sung many of his hit Urdu Ghazal audio have been used in Bollywood movies. His famous Ghazals are "Chupke Chupke Raat Din", "Kal Chaudhwin Ki Raat Thi", and others. His popular album "Hasratein" was nominated in the Best Ghazal Album category at Gima 2014. Ghulam Ali got his Classical Music training form Ustad Bade Ghulam Ali Khansahib, a big name in Classical Mousiqui. Ghulam Ali has sung "Thumri", "Saiyyan Bolo Tanik Mose Rahiyo Na Jaye". He has sung lot great top Punjabi songs. He has sung with Asha Bhosle with joint Music albums. I have selected below Ghazals Music of Ustad Ghulam Ali.